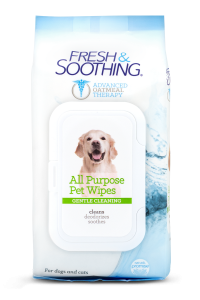 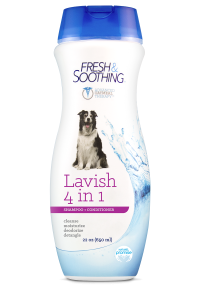 Fresh & Soothing’s Chew Stopper is made with natural ingredients you can trust! 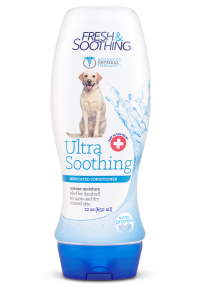 The natural, powerful, yet safe formula is packed with the bitterest extracts in the world. 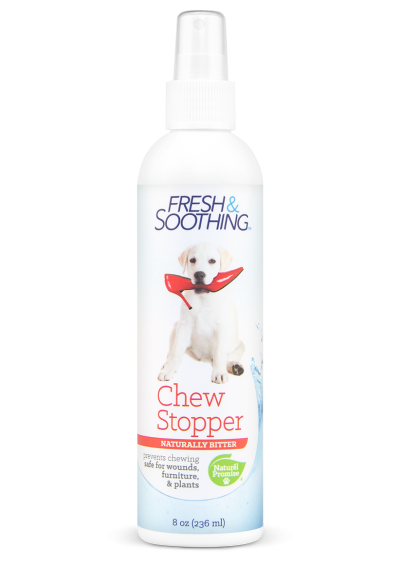 The Chew Stopper safely discourages dogs from chewing, biting, licking or gnawing on anything coated with Fresh & Soothing Chew Stopper. Fresh & Soothing Chew Stopper is safe to spray on inside and outside plants and helps protect pets from poisonous or harmful objects.